New York City Restaurant Week is probably one of the best weeks in the city. It happens twice a year and over 350 restaurants participate. 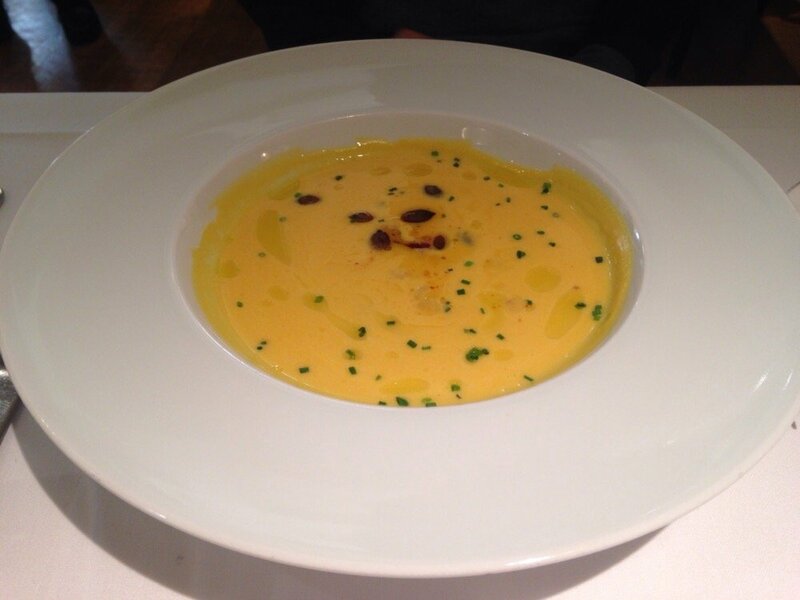 For a fixed price of $25 for lunch and $38 for dinner, you can indulge in a three-course delicious meal. Being bargain savvy college students, my friends and I decided to take advantage of this offer and go to Gotham Bar and Grill. 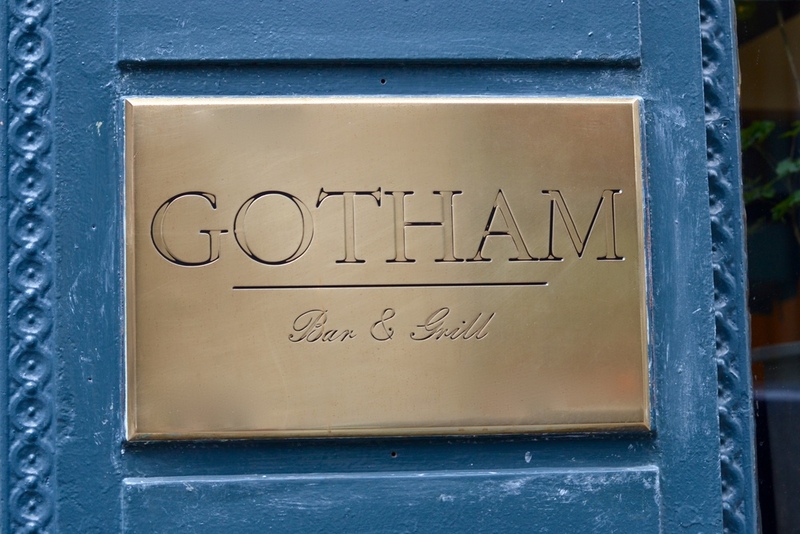 Gotham has consistently placed high in the Zagat Restaurant Guide & has maintained its Michelin Star rating for multiple years. 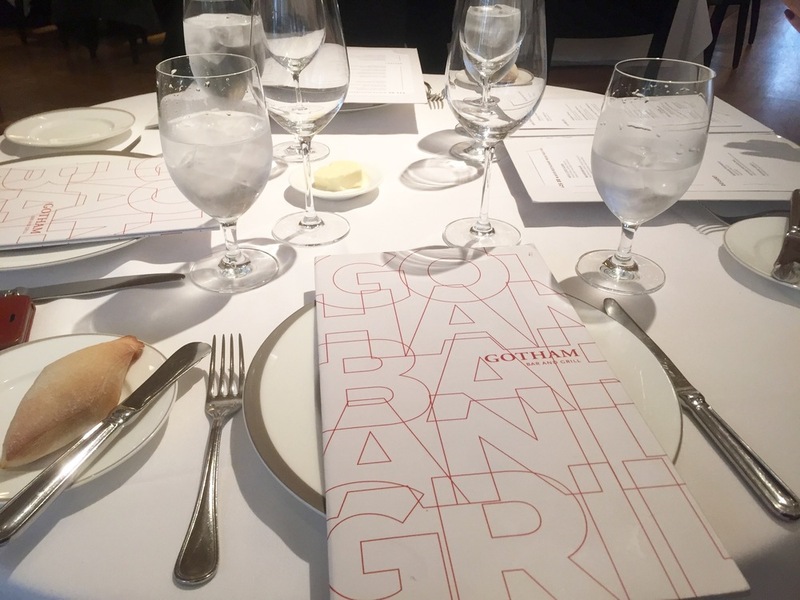 Although the ambiance is not upbeat and trendy like restaurants such as Buddakan or Tao, it is calm and perfect for a professional business lunch or elegant evening dinner. Since it was restaurant week, we ordered from their special prefixed menu. It was great because they offered a variety of options for each course. 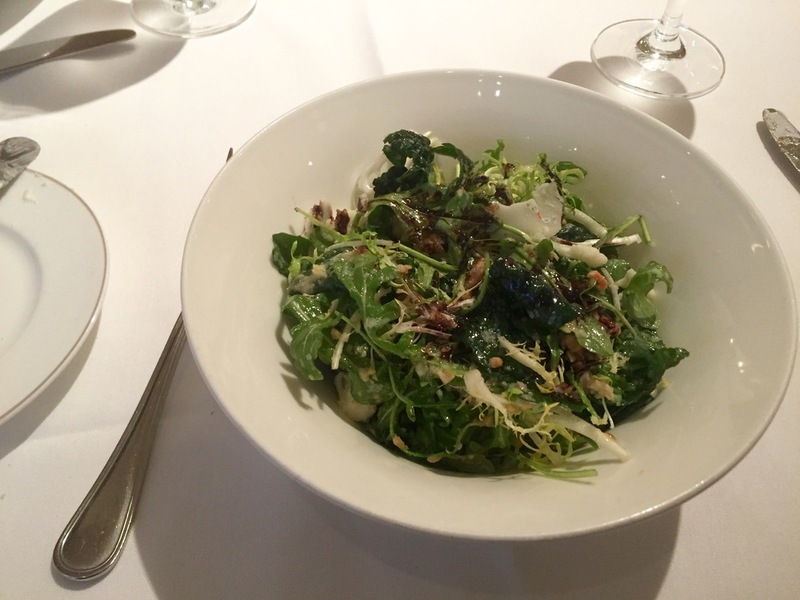 For the appetizer, I decided to go with a basic mixed greens salad because I wasn't really feeling the smoked salmon dish or the pumpkin creme. My salad was super good and it had a delectable vinaigrette dressing with some tossed nuts and cranberries up in the there. I did try some of the pumpkin creme and salmon from my friends and it was extremely good as well. The salmon tasted really fresh and it was served with a delicious aioli sauce as well as some greens and the pumpkin soup was perfection. For the main entree, I ordered a roasted chicken breast which came on top of a bundle of savory vegetables in a sweet barbeque-like sauce. The chicken was so tender and it was probably one of the best chicken breasts I've ever had. It was as if the chicken was bred on an organic diet in some hidden mystical fantasy land. At last, the desert came and we were all blown away! The desert options were: flavored sorbet, flourless chocolate cake, and a pear parfait. We each choose something different so that we could try from each others plates. I selected the raspberry sorbet and words cannot describe how good that was. It was as if the raspberries were hand picked from Narnia or something! The rich fruity taste reminded me of the times I had sorbet in Italy. IT WAS THAT GOOD. I am not a big cake fan but I decided to try my friends chocolate cake anyway. Thank god I did because it was the most exquisite chocolate cake I have tried. I don't know if it was the flourless aspect of it, but even though the cake seemed like a solid piece its texture was that of a soft mousee. It literally melted inside my mouth and I was completely okay with that. It was served with a scoop of vanilla ice cream which really went well with the cake. Last but not least, my friend's parfait was probably the best decorate plate and very tasty as well. 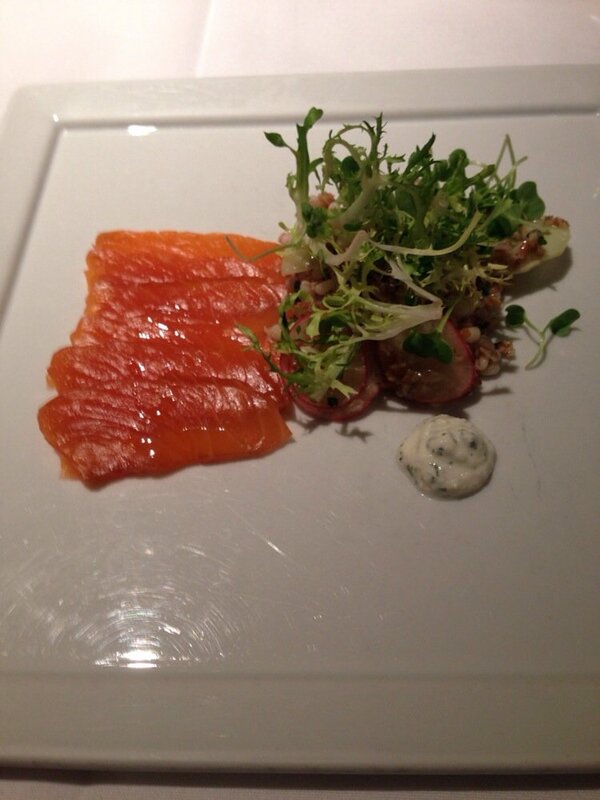 Overall, it was such a great experience and the service was impeccable. I definitely recommend!